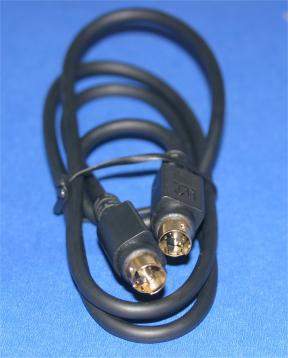 Male-Male SVHS system Cable 3 Feet. Excellent Quality Molded cable with gold Plated ends and Contracts. Used to connect: VCR's, TV's, Computers with DVD and DVD Players. Sheilded Individual Strands for both Chromance and Luminance Signals.